The same year, the popular magazine; Arts & Architecture, thinking it might stimulate the sale of their publication and promote house sales, they announced their Case Study program. It was the California sun rather than the hearth that was at the base of the program. A five-acre piece of land was acquired, a site overlooking the ocean on the palisades above Santa Monica Canyon, and nine architects were invited to join the program. There were no restrictions on what type of houses they designed. The Case Study houses were open to the public and introduced experimental materials and the new modern forms. One of the finest designers of this important postwar program was the 35 year old, Rodney Walker. Although he was born in Salt Lake City in 1910, Rodney was mostly raised in the town of Ely, Nevada. In his younger school years, he showed a great interest in music, dramatics and sports. Walker went to the Pasadena City College to study engineering with the hopes of eventually transferring to Cal Tech. These ideas were changed when he was lucky enough to receive an athletic scholarship to UCLA. 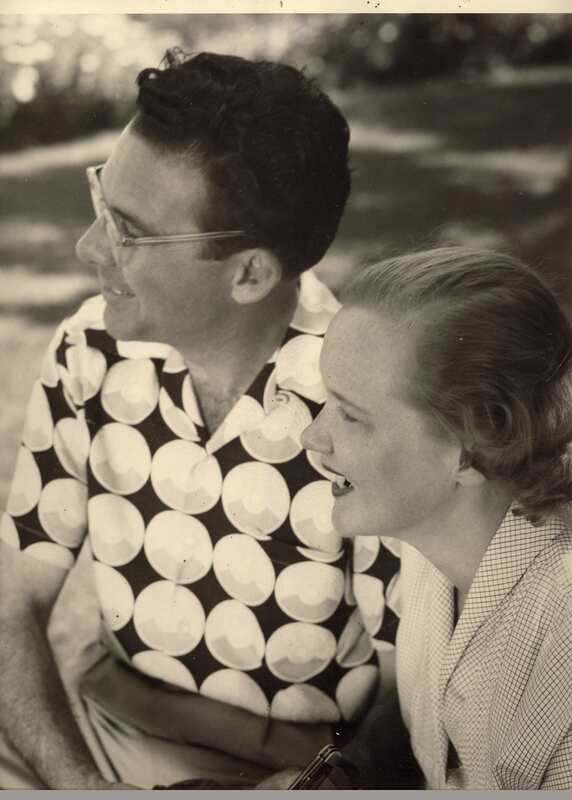 At UCLA, Walker studied the arts and during his senior year, he met and married his wife, Dorothea, who was also a UCLA student. They built their first Los Angeles home in 1937. Rodney Walker did the design, and together with his new wife, they did all the construction work themselves, except for the electrical and plumbing. The satisfaction of completing that first house instilled in Walker that this would be the perfect occupation for him. By the time America entered into World War II, Walker had designed and built a dozen houses around Los Angeles for his clients. During the war, with construction at a stand still, he worked for an airplane company and continued his architectural studies. Every spare moment was used visiting prominent buildings in the Los Angeles area to familiarize himself with the style and techniques of the city’s major architects. When the war ended, the young couple were able to purchase a parcel of land in the hills above Beverly Hills, and built a new house for themselves on this important piece of real estate. The house was extremely modern and had over 2000 square foot of floor space with a sweeping view from the city to the sea. It was a striking home. Case Study houses, they consented. The idea of the Case Study houses was that people would not really understand modern architecture unless they saw it, and they weren’t going to see it unless it was built. 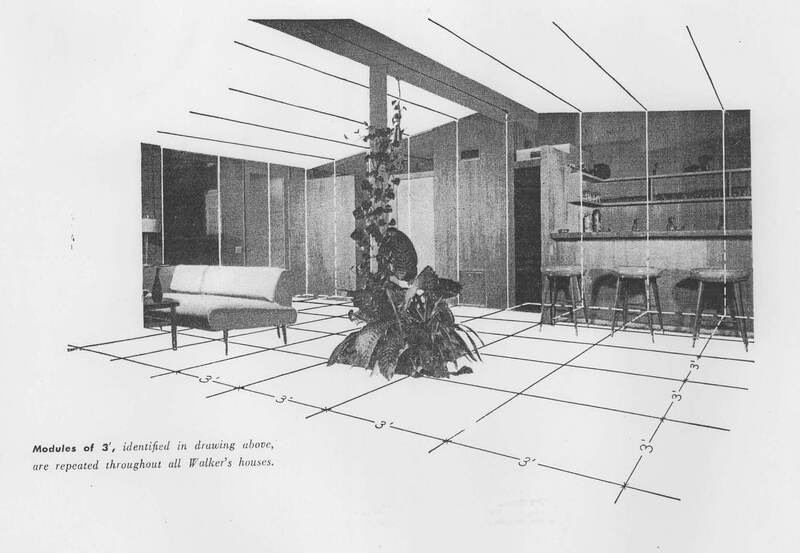 The Walker’s house would become the first house to be shown to the public and to be covered exclusively in publications. The Walkers enjoyed being in on the ground floor of such an exciting time in California architecture. Within a short time, their home was featured on the cover of the Los Angeles Times Home Section, and the narrow mountain road leading to their home, was congested with an estimated 4000 people driving into the hills to catch a view of this spectacular home. Walker designed two more of the Case Study houses. He used his own construction crew and he joined them in the actual building of these fine houses. 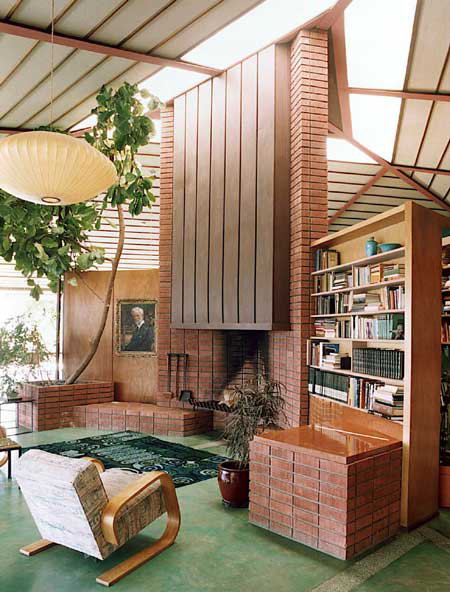 For the next 10 years, Walker continued to work in the Los Angeles area, mostly building the houses that he had designed, however, occasionally, he would do the design and just supervise the construction. Most of the time, he preferred to do the actual building himself. One of Rodney Walker’s policies was the construction of two houses at the same time. One would be for the client, and they got top priority, while the second house would be built for spec, and was primarily to keep his crew busy while waiting for the plumber and electricians to finish their jobs. for it was during these construction times that he felt that he was really able to work out the details of his designs. During this period in time, it wasn’t considered professional for architects to do the actual building themselves, so rather than give up the construction end, which he felt was such an important part of his final architectural product, he chose to remain a builder-designer. Walker continued to work on various ways to make his houses truly outstanding in design and by using the latest products he was able to make the houses more reasonably priced so that everyone could own and enjoy his art. UCLA had a gallery showing of his works in 1948 and it brought this designer to the attention of the Southern California media. Home magazines were noticing this very talented designer and many publications were featuring his work. House Beautiful worked for a solid year, photographing the Walker house in the various seasons and holidays in order to devote an entire issue of their magazine to this modern home. After the publication hit the stands, the Walkers received mail from all over the world. The people of the country were ready for a change, and this new modern design was very exciting to them. 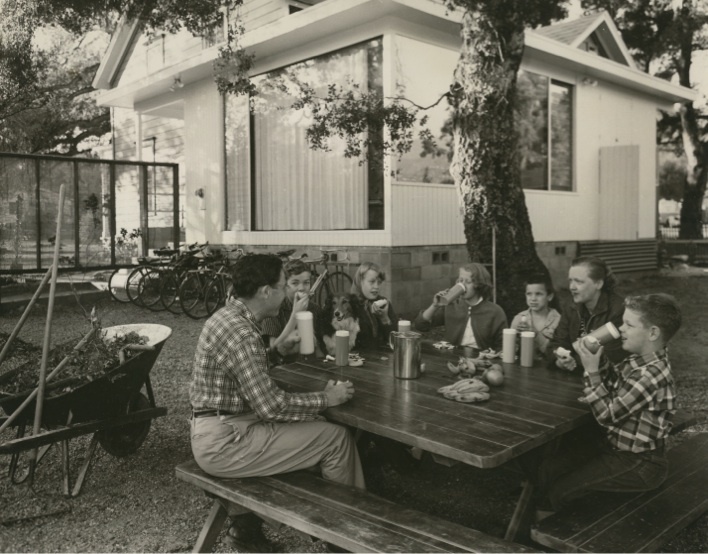 In 1955, the Walkers took time off to travel north to Ojai. Their first visit would cause them both to fall in love with the serenity of this valley. The thoughts of purchasing property here became a reality in a very short time. Walker added this modern addition onto the old farmhouse at 308 Signal. Their first Ojai property, bought with the idea that it would be used for a week-end house, was an older Victorian on North Signal Street. The remodeling job of this house, featured in Better Homes and Gardens brought the artistic family even more recognition. Their love of the valley was so strong that in 1956, they decided to make Ojai their permanent home. They felt that it was a perfect place to raise their 5 children, and they wanted to get involved in keeping the Ojai Valley the wonderful place that welcomed them when they first arrived. During the next two years, Walker finished up the commitments he had started in the Los Angeles area, and started accepting a few designing jobs in the Ojai Valley. 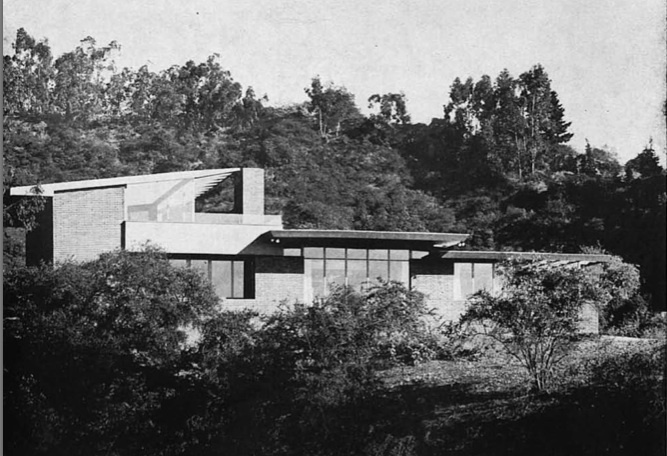 One of his early designs was a Thacher Road weekend house for Elsa Pehrson, a resident and doctor of San Francisco, built in 1957. The house is an L shape with wide overhangs. It is constructed of concrete block and floor to ceiling glass walls. The house was oriented on the lot to take advantage of the mountain views and magically, it captured the excitement of the period. Walker then decided to build another house for his own family on a large parcel of land on the west side of the Arbolada. The house would be his masterpiece. It set on top of a low hill that had a breathtaking view of the Ojai Valley. Hexagon in shape, it was constructed of steel and glass. The exterior walls were totally made of glass to provide for an uninterrupted flow from the interior rooms to the outdoor living areas. It is truly a modern palace. 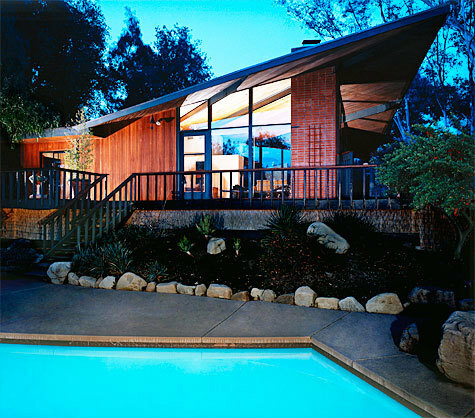 At the same time, another commissions had come his way, the 1959 Ojai Valley home for Dr. David Harvey and his family. This house was also constructed of steel and glass, and featured a prominent projecting roofline on both the front and back. Full-length glass walls produce an open effect. This spectacular building was featured in Sunset Magazine and the Los Angeles Times. Anther Ojai home was for Dr. Kurt Semmel. This single-story building featured a modern massive pointed roof that sweeps upward and out, extending over a raised wood balcony. The wide brick chimney provides a corner feature, with tall glass walls on either side, so that a view of the Ojai Valley and the rugged landscape below can be enjoyed from inside the house. Walker’s attempts at drawing the outside in, through the use of glass walls, were very successful. family departed the valley for a year’s trip around the world. During this time that the family was together, Rodney Walker decided to retire from the business of designing houses and work more toward protecting the quality of life that he had come to enjoy in the Ojai Valley. One of his local projects was the re-opening of The Oaks Hotel. He spearheaded the idea of getting 200 local citizens to chip in and purchase the hotel block that was standing in the center of town, closed. He served as chairman of the board of the hotel for several years, until 1971, when he decided to retire from civic affairs. In 1971, Mr. and Mrs. Walker opened The Cello Collection, a unique and interesting gift shop in the downtown section of Ojai. Rodney had become an expert at the art of designing gold and silver jewelry, and his works were featured in their stores, here and in Montecito. The Walkers purchased condominiums in the Hawaiian Islands and with the yearly decorating and other maintenance of the condominiums, and the exquisite jewelry that he was designing, Walker was able to fulfill that wonderful creative and artistic desire that had been the love of this talented man’s life. The beautiful homes in Southern California, constructed by this famous designer are highly respected by their owners as the great creation of art that they are. One yearly reminder of this highly respected gentleman, are the beautiful Christmas lanterns hanging in the arcade, which were designed by Rodney Walker. I understand now where Craig gets his talent. Great article about a creative man. Get your hands on a copy of OJAI Quarterly (Spring 2012). It’s a free magazine that you will find on stands throughout the Ojai Valley. 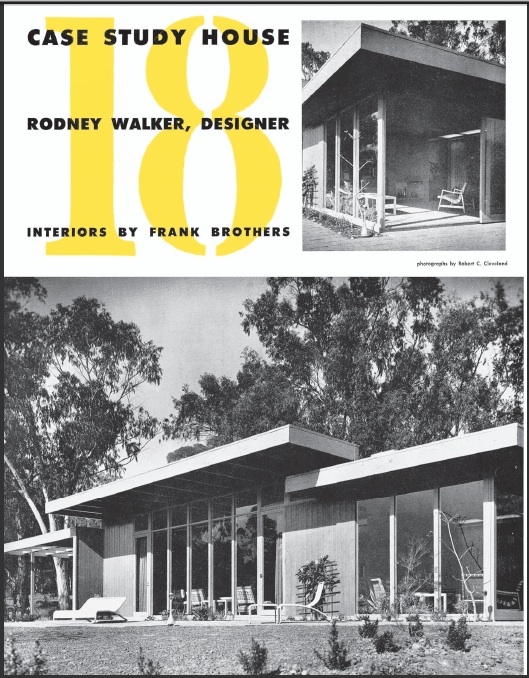 Go to pages 12 and 13 for a Crosby Doe Associates real estate advertisement for the Rodney Walker designed home that Mr. Walker built for himself and his family at 1049 Rancho Drive in Ojai in 1959. The add states, “See additional images at: http://www.walkerresidence.com“. Be sure to take this advice. The home is listed at $3,995,000. The home is a true work of art! I’d snap it up in a second, if I weren’t a humble Park Ranger. Craig, you were a lucky guy to have lived in this gorgeous home in such a stupendous setting. But, I know I don’t have to tell you that, my friend. In the same magazine, go to page 4 to view another Rodney Walker designed home that’s presently for sale in the East End of the Ojai Valley. On this page, it’s listed by Coldwell Banker Previews International at an asking price of $2,300,000. This home is “The Kurt Semel House” mentioned in the above great article by David Mason. You might want to go to http://www.RodneyWalkerOjai.com as printed in this real estate advertisement. It’s another lovely home and another architectural feat that one must feast their eyes upon. Mr. Walker was a genius in his designs. No doubt about it! Here we go again! Another article about the Walker home on Rancho Drive. This article is in the Fall 2012 edition of Ojai Quarterly. The article (“The House of Glass”) begins on pages 88 and 89 with a photo of the gorgeous home covering both pages. Ojai Quarterly is free and on stands throughout the Ojai Valley. An easy one to get to is located in front of Rite-Aid in Mira Monte.